Three and a half years ago, when I first came to Uganda, I had the honor and pleasure of being the best man to a couple of the sweetest Baganda I have ever met. They have been so generous to me over the years, as colleagues, teachers, and friends. One of the greatest gifts they have given me is to introduce me to other friends and teachers who have so much to offer. One of the drummers at their wedding was the most amazing Muganda drummer I had ever seen. Three years on, he’s still the best I’ve ever seen. I now have the privilege of calling this man my teacher. Meet Frank Ssematimba. “Uncle Ssema,” as his friends call him, has been playing with different music & dance troupes for a long time. I first saw him with Badongo dancers, a group that a famous musician named Ssalongo Deziderio Kiwanuka Matovu started years ago. Ssalongo didn’t perform with them that night, which is probably good because I would have been completely distracted by Ssema’s drumming and its connection to the wedding dances. Now he plays with a troupe called “Nakifuma Super Dancers,” led by one Albert Bisaso Ssempeke. 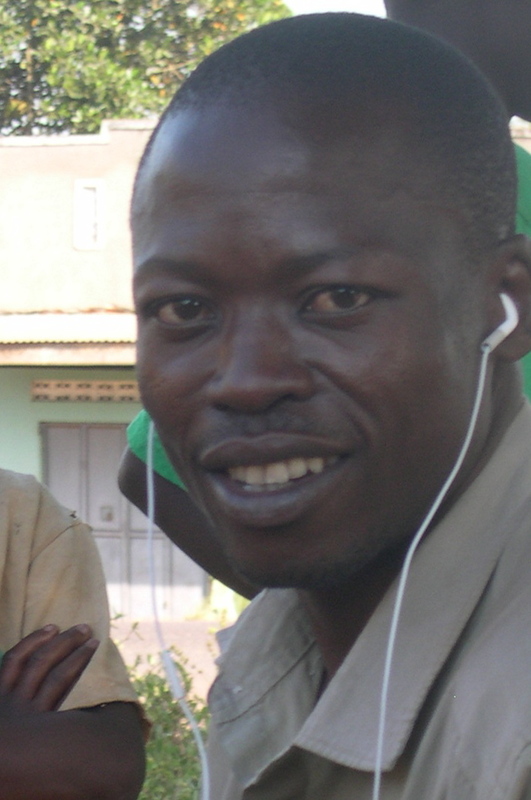 Albert is the heir of one of the best known Muganda musicians, another of Ssalongo Deziderio’s generation. This group he’s put together has the best percussion battery I’ve ever seen, led by none other than Uncle Ssema. I had occasion to play with them at a couple of events over the last six weeks or so, and at the second one Uncle Ssema announced to me that he was going to teach me mbaga variations on embuutu drum. How could I argue? A week later, I start going out to Nakifuma, a dusty 90-minute ride east of Kampala, for drumming lessons. I find Uncle Ssema there, comfortable in the shade of a mango tree that graces his front yard near the road. He sets up a bench with a tarp in front of it on which we set the mbuutu. We begin with the only familiar thing that I’ll play in the lesson: the first of many variations for mbaga dance. He takes me through as many variations as my hands can handle that day, and then he plays a whole bunch more as if to say “you have a long way to go, kid.” But he’s courteous about it–not ruthless like some teachers. Uncle Ssema seems to understand my process, and why it is I want to learn, and he likes it. When the little kids get in the way of my recording device, he gently nudges them away and we continue. They clearly love him, and they’re fascinated by this whole process. He’s only slightly more reserved about his own fascination, but when it comes to hearing the playback of our recordings, he doesn’t hide it. That makes for a very open process. Often when we’re finished with the drumming part, he’ll play a few tunes on his ndingidi, a single-stringed fiddle. There are a few really discernible styles on this thing, and his is much like his teacher, Deziderio’s. Even the way he sings is similar. 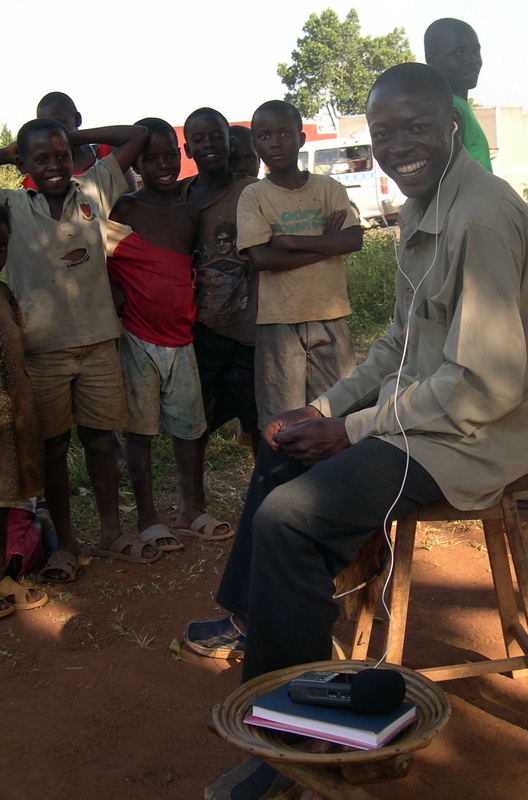 It’s cool to see the next generation of Baganda musicians so eager to share their music. It’s a pleasure to listen and a privilege to learn with this guy.